We’re going to look at some of the more exciting advancements in modern security camera technology. 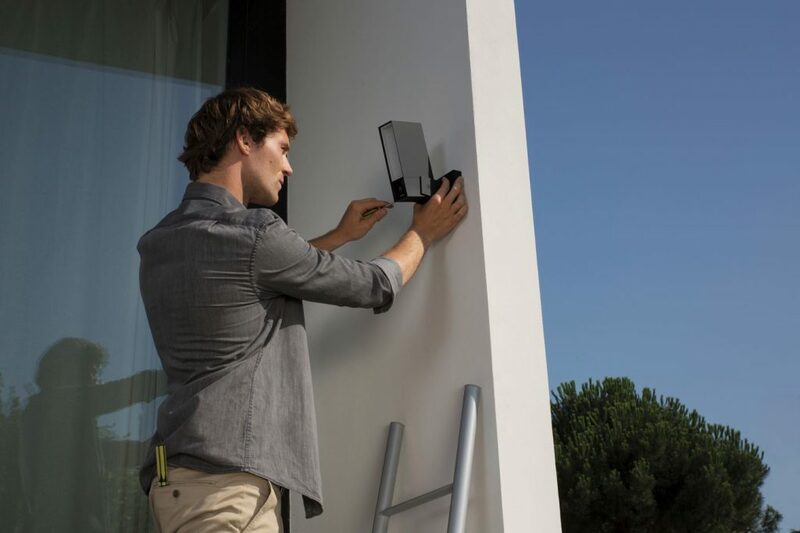 Some of the latest in Wi-Fi IP security systems have some incredibly advanced features, ranging from automobile, person, and animal differentiation, to text alerts sent directly to your phone whenever your system detects anything. 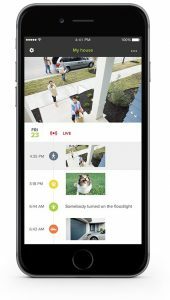 These are just a few of the new features that have just been rolled out in Netatmo’s new line of security cameras. Netatmo’s new “Presence” Security cameras promise a whole new level of protection for your business. Having a “breakthrough deep-learning algorithm,” the cameras are capable of detecting animals, people, and cars . 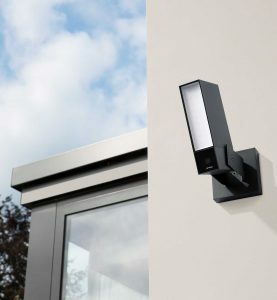 The new cameras boast an advanced infrared and floodlight system for night security. This allows for excellent low light surveillance and increased light when needed. The camera also boasts an impressive 100 degree viewing angle to compliment the night viewing ability makes this camera an excellent choice for any business. The cameras come standard with full 1080p video, waterproof, ice, and wind design, and up to 65 feet of clarity in video. Out of the gate, this is a fairly high end security camera, however the big draw is the remote access flood light and infrared. These two features allow for the camera to be used to cover an entire area despite the time of day. The most impressive feature however, is likely the software suite that comes with these cameras. The ability to detect cars, people, or animals and differentiate between the three are impressive to say the least. “Presence marks a new step forward for consumer security cameras. Unlike existing surveillance systems that need human analysis, Presence understands what’s happening outside the house and operates without requiring a subscription. The camera instantly detects unusual situations and sends precise notifications to the users’ smartphone. Presence offers peace of mind to the users: it alerts them in real time if there’s a break-in, an intruder, or property damage”, explains Fred Potter, Founder and CEO of Netatmo. In addition to the ability to differentiate between the three allows for the camera to store only important video, such as loiterers or suspicious vehicles. These make it a perfect system for smaller businesses or homes. The unique “Deep-Learning” system allows for large amounts of customization from being able to providing simple “If this” statements. According to them, the system can provide eventualities for any number of situations. This allows for you to have the most adjustable and secure system for the cost. The ability to create and maintain a list of scenarios that will send you updates can be invaluable in ensuring the security of your home or business. To further ensure your safety of your video even further, these cameras provide a level encryption that is virtually unheard of in most wireless security systems. This ensures that all of your video is kept completely secure, and prevents any potential loss from camera to your wireless IP security system. The encryption that is in place on these cameras can provide you with a new level of protection that may provide a peace of mind for the integrity and quality for your entire system. In addition to the encryption and differentiation software, these cameras come with their own remote monitoring app. This allows for you or your security to have up to the minute access to a live feed of the video. This feature works with the alerts that notify you of any car, person or animal that enters the view of the camera. This is an exceptionally useful feature, which we’ve covered before, which allows for users to have peace of mind no matter your location. In addition to its impressive night features, the cameras operate on any existing IP wireless security camera system. The coupled with their impressive range of software features makes them an excellent addition to any existing system or a perfect new system to install. As with any system, it is of the utmost importance to take into account the placement of the cameras themselves as well as the recording equipment in order to ensure that you are getting the most out of your system. We at LOOPAVS would love to assist you in setting up your system for the best possible security for your cameras.